We are excited to announce that Dinolift is launching a new lightweight 4×4 boom lift with outriggers, DINO 220RXT, at Bauma. The latest addition to the Dinolift lightweight family is also an expansion to the new RXT series launched in 2017. The DINO RXT series is a proven concept and the latest models take the series to a new level regarding boom performance and overall usability. Maintaining the original idea of low overall weight brings to the customer advantages in energy efficient use and transportation as well as in lower maintenance and operating costs. It also takes into account the environmental aspects by reducing emissions. The new DINO 220RXT brings the RXT series to a lower working height but still features the new ultra- high strength steel boom construction – using a 2 section boom which offers unlimited outreach of 12m at a safe working load of 230kg. As an optional feature, the 220RXT can be fitted with an XL basket for two operators while increasing the safe working load to 250kg monitored by a load sensor under the basket. DINO 220RXT features all same advantages to the customer as the 280RXT. Thanks to its low weight it suits to the work sites with weight restrictions. It won’t damage gentle surfaces no matter if inside on gentle floors or outside on grass. The outstanding off-road and levelling capability on a difficult ground also adds to the versatility of the machine. The powerful Kubota engine combined with the low overall weight and low center of gravity of the machine allows to move easily even if ground conditions are challenging. 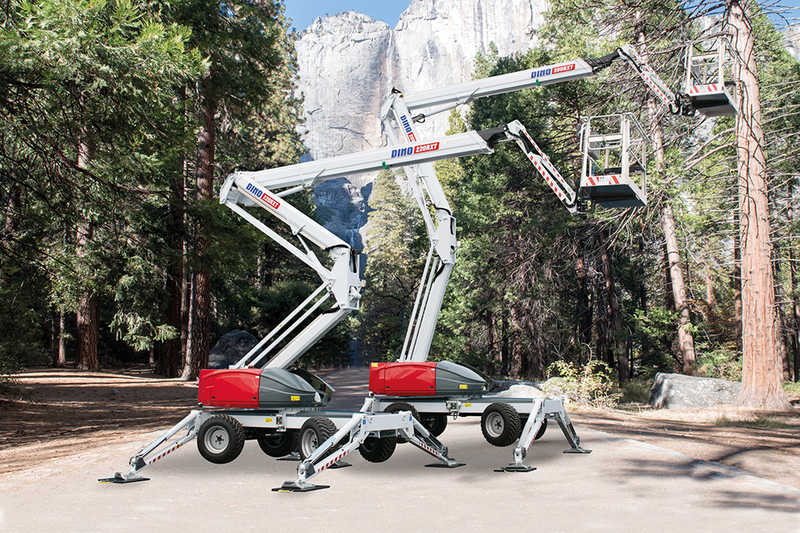 Faster drive speed and the outriggers add to the efficiency of working. Read more about the new DINO 220RXT.